Clean up has begun in parts of Mississippi following powerful storms that swept across the state this weekend. Suspected tornadoes killed one person, injured dozens and damaged or destroyed dozens of homes and businesses. MPB's Jasmine Ellis reports damage assessments will begin today. Workers who spent time cleaning up damage and debris are coming inside the Warren County Emergency Management Agency for a meal. Storms entered the southern part of Vicksburg on Saturday and produced at least two tornadoes says John Elfer. He is director of the Warren County Emergency Management Agency. Elfer says over 15 businesses and 30 homes have been damaged. "This will be a long process," said Elfer. "In my experience, sometimes a business, it may take five or six months to get back in somewhere and the same thing with the residents. Some of these folks may still be displaced around Christmas so we just have to see how it plays out." 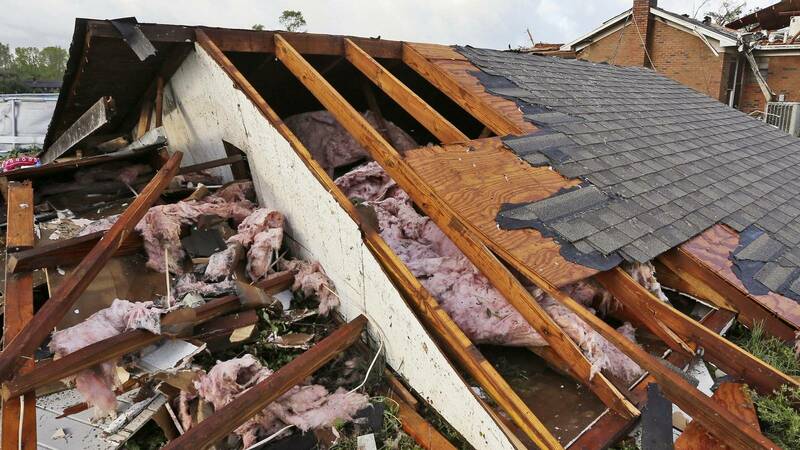 Seventeen counties in Mississippi were affected by the storms that moved through the state and one person was killed by a suspected tornado. Governor Phil Bryant says Warren and Monroe counties received the most damage. He signed an emergency declaration for the affected areas. "I hate to say that we were fortunate but in some ways we were," said Bryant. "I would've thought we would've had much more information to give you of a disastrous nature. Even though we have a loss of life, one fatality because of the storm, it could've been much worse." Governor Bryant says they will assess the damage and see if there is an opportunity to ask for assistance from FEMA.